Meet the Teachers of South Coast Music Together®! Our teachers come from all sorts of backgrounds, but they’re united by a common passion: Sharing the joy of music with children and families in our southern California communities! All teachers have successfully completed the live Music Together Teacher Training, which is built on research in early childhood and music development. They are engaging, joyful, intelligent and loving individuals who bring the gift of who they are to their beautiful work! Judy is a professional vocalist, guitarist and pianist. Like many of her students, Judy showed an early love for music, appearing on television to sing about Elsie the Cow for a Borden's Milk commercial at the age of eight. She later recorded a commercial singing for Safeway as well. She began her adult career in Kansas City as a folk singer at local popular restaurants and night spots and also appeared as a featured singer/dancer at World's of Fun Theme Park. Miss Woodson's hotel entertaining took her to Dallas, Texas where she made an appearance on the AM Television Show and later to Los Angeles where she also doubled as an agent for McConkey Artists Agency in Hollywood. She spent ten years performing overseas in some of the leading hotels of the world including The Grand Hotel in Stockholm, Sweden, Brenner's Park Hotel and Spa in Baden-Baden, Germany, The Estrel Residence Resort Hotel in Berlin, Germany Nassauer Hof in Wiesbaden, Germany, The Taj Mahal Hotel in Bombay, India and Renaissance Resort Hotels in Okinawa and Tokyo, Japan, to name a few. She returned to make her home in Newport Beach, California in January of 1999. Judy is a licensed director and registered teacher who has been awarded both Certification Level I and Certification Level II from the parent organization at Princeton for excellence in articulation of the Music Together program philosophy, assessment of children's music development, and teaching mastery. She previously served as official Licensing Representative for Music Together LLC and currently represents the national organization as a conference presenter, speaking at early childhood and music educator gatherings around the nation. Tara Waldschmidt currently from Costa Mesa, grew up in San Diego in a family where the shared love of music was a common bond. She has fond memories of attending concerts and musicals, playing "Name that Tune" on long car trips, and listening to "oldies" with her Dad while doing yard work. Her mom was an elementary school choir director and her sister and she played clarinet and flute in their high school band. Along with her love of music, Tara has a deep love of children and has served as babysitter and nanny to many a little one. 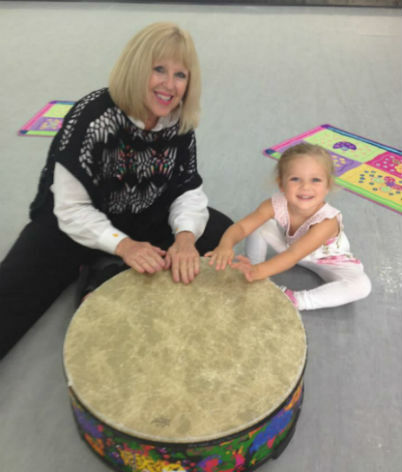 It was during her stint as a beloved nanny that she attended her first South Coast Music Together class! Tara holds a Bachelor of Music degree in vocal performance from UCI, studied jazz with the San Diego Civic Dance Arts Program and practiced a year of ballet studies at UCI. She has put her degree in vocal performance to good use, appearing with the San Diego Opera, the Riverside Lyric Opera, Sierra Madre Playhouse, and UCI Opera to name a few. Tara says, "Music is a great form of self-expression. It can get you through anything. There is comfort in the familiarity of old songs, an energizing spirit in new songs, and there will always be a song in my heart." It is that kind of heart that inspires others to join in and sing along and we are thrilled to welcome Tara as the newest member of our South Coast Music Together faculty. Her natural warmth, beautiful singing voice, and nurturing way of bringing out the music in others make her a true asset to us. 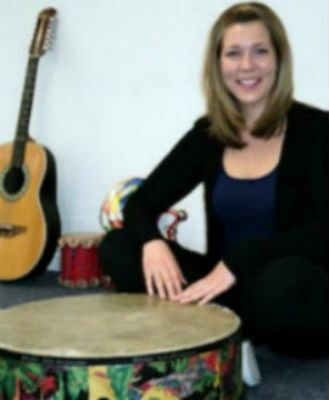 Tara will completeed her training in June 2014 and joined us as an officially registered Music Together teacher. She completed and was awarded Certification level 1 by our national organization for excellence in teaching and in articulating the Music Together curriculum and philosophy! 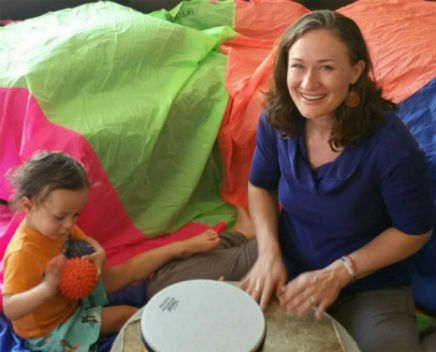 Julie Boies, a registered Music Together teacher has a deep love of music that began in a home filled with song. Her mother sang folk songs to her as a child and her father shared his enthusiasm for country music and classic rock. She and her sister often dressed up and danced to music in their living room at home, And her grandfather, an artist was known to paint in his studio accompanied by the sounds of Latin music. Julie has lent her own voice to her church choir for many years. Her love of children found expression in her creative work as a children's party entertainer and especially through her dedicated work as beloved nanny to families for the past 14 years. It was that very work that led her to South Coast Music Together as she and two of the children she cares for took classes with us for several years. 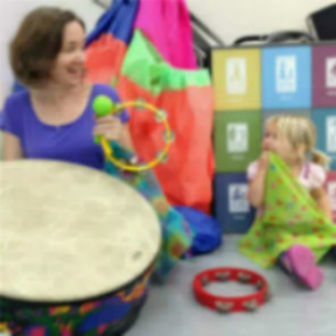 Witnessing first-hand the positive impact music has had on these children's lives, seeing them achieve basic music competence, developing their powerful love of music, and most importantly seeing how music-making brings families closer together inspired Julie to become a Music Together teacher herself. As she puts it, "I feel that a love of music is one of the best gifts my parents gave to me. I feel blessed to be able to pass it on." She completed and was awarded Certification level 1 by our national organization for excellence in teaching and in articulating the Music Together curriculum and philosophy! We are thrilled to have Julie bring the gift of who she is to passing on that love of music, and to welcome her as one of our treasured South Coast Music Together team members! Sarah Baxter was raised in a very musical family and grew up singing and dancing. This naturally led to her later studies and professional involvement in the performing arts. She co-produced and performed in a local art show for six years, as well as singing and dancing as a soloist and with various ensembles- ranging from choral music to Bollywood! Sarah is a returning and much-loved registered instructor for South Coast Music Together and we are delighted at her return! Her deep love of music, her uninhibited joy and generosity in sharing and communicating that joy with others makes Sarah a natural and terrific educator. A proud mommy, she is thrilled to share the love of music and family with her little one and yours! the Music Together curriculum and philosophy. Welcome back Sarah! Natalie Headland, a registered Music Together teacher as of June 5th, 2011, is a Music Education major at Chapman's Conservatory of Music, with an emphasis on voice. She holds an Associate of Art Degree in Child Develpment and proudly made the Dean's list in that area of expertise! In addition to performing on stage and lending her beautiful voice to the Chapman University Choir, Ms. Headland serves as section leader in her church choir and volunteers at Cambridge Elementary School, teaching general music to the kindergartners each week. Natalie has also served as a Behavior Interventionist for children with special needs and has experienced first-hand the power of music in reaching some of her students who previously seemed un-reachable, connecting with them through song. On the homefront, Ms. Headland comes from a family that treasures music. Her parents actually first met in their college choir and passed their own love of music along to Natalie and her sister. Her father has accompanied Natalie on piano in many recitals. And Natalie's love of composers Brahams and Strauss developed from hearing the sound of her mother's voice singing their melodies to her as a child. Coming from such a musical family, it's natural that Natalie understands and appreciates the powerful bonds that come from making music together as a family. 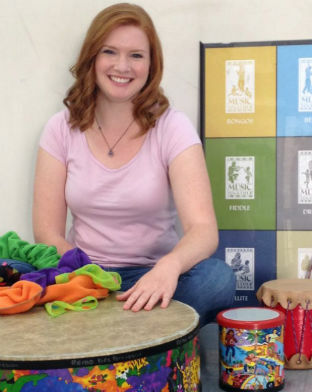 Believing strongly in the Music Together philosophy that all children are musical and deserve as their birthright the ability to participate joyfully in the music of their culture, Natalie is excited to share her inspiration and the beauty of making music with our families. We're delighted and proud to welcome Natalie Headland as a very special and valued member of our South Coast Music Together team!